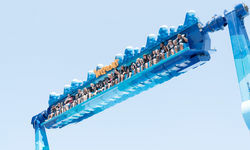 It has been heralded as a major component of Dreamworld's turnaround strategy. But with 2018 behind us and the peak holiday season drawing to a close, there's still no Sky Voyager. 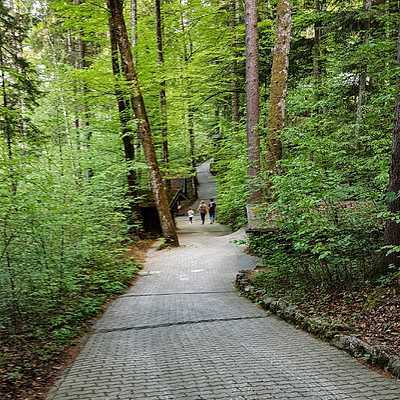 Image: Parkz. Sky Voyager is still yet to open. Taken December 2018. Delays with new attractions aren't uncommon at the Gold Coast theme parks. 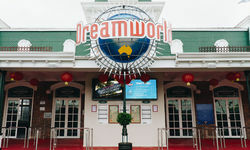 Dreamworld as well as their competitors Warner Bros. Movie World and Sea World have faced their fair share of delays and setbacks over the years. Sea World's Shark Bay opened nearly four months behind schedule with construction slowed by weather and the difficulties in comissioning such an expansive marine environment. Dreamworld's DreamWorks Trolls Village attraction missed its December 2017 and Easter 2018 opening before finally opening in June 2018, with delays put down to DreamWorks licensing requirements. Storm Coaster was pushed back from September to December 2013 to accommodate the construction of a new polar bear nursery following the birth of a polar bear cub. Sea World's Wild Animal Exhibit was publicised yet never happened at all. Dreamworld were about a month late with Tower of Terror in 1997, plagued by delays relating to technology that was record breaking and revolutionary at the time. Sky Voyager now joins this list, with the attraction nowhere to be seen despite Dreamworld promising a late-2018 opening all year. 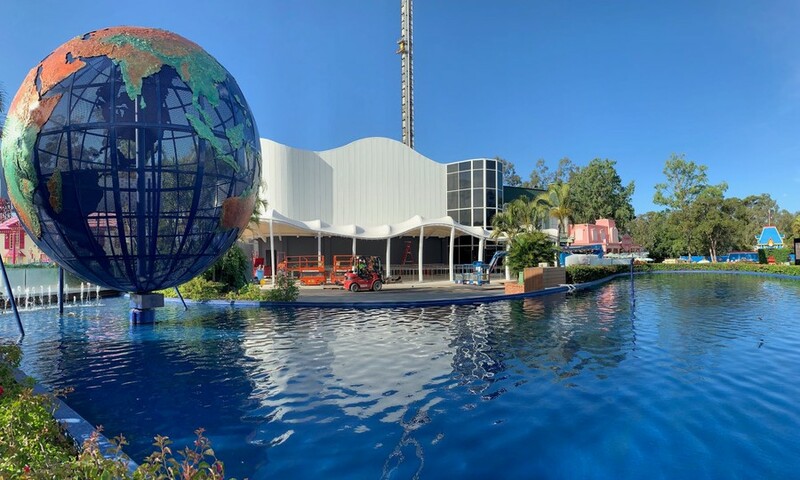 Dreamworld's stock answer to questions about the ride's whereabouts hasn't changed in over a month: "we will be announcing an opening date in the coming weeks." Dreamworld have everything to prove right now. 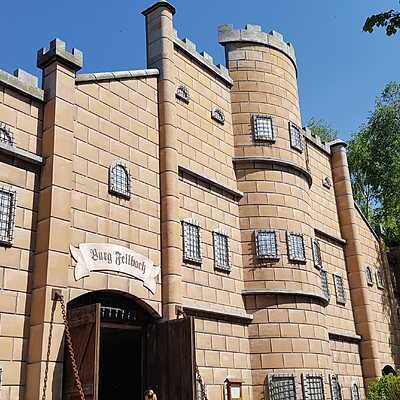 An attraction that was announced more than twelve months ago has failed to materialise on schedule at a time when Dreamworld needs desperately to have something major to promote and win back crowds. 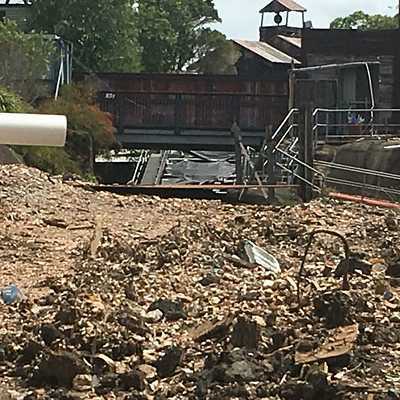 July demolition of the old Dreamworld Cinema suggested that this attraction was budgeted for the 2019 financial year and not sooner. Dreamworld were always going to have their backs to the wall in trying to commission the attraction for December. We've heard all sorts of reasons for these delays. There's been run-of-the-mill construction setbacks and weather delays. Dreamworld chief operating officer Paul Callander told Park Chat Live in a late-December interview that the ride film was not yet finished. 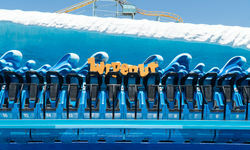 In order to begin the complicated process of syncing the ride's mechanical systems and special effects, footage is required. Post in the Parkz Forums suggest that it is still awaiting approval for operation by Queensland regulatory bodies. 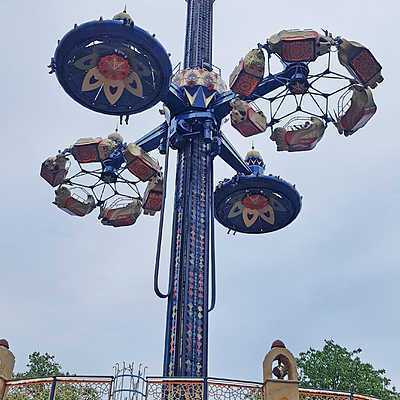 Dreamworld staff are yet to take a test ride on Sky Voyager, to allow operations staff to train and familiarise themselves with the procedures. As a comparison, DC Rivals HyperCoaster underwent weeks of rider testing with engineers, technicians and Movie World staff prior to its soft-opening in September 2017. Doomsday Destroyer and DC Rivals HyperCoaster were both planned years in advance and construction was spread across multiple financial years which helped ensure their respective September debuts in 2016 and 2017. At a time when Sky Voyager should have been a huge motivator for pass renewal and holiday crowds, Dreamworld have once again resorted to heavy discounting which tells us that the strong summer they'd banked on isn't happening. There are very real concerns about how this could affect Dreamworld's future investment plans. Owners Ardent Leisure have made it known that Sky Voyager is just the start of a reinvestment strategy that includes a lazy river that has already broken ground in WhiteWater World. But questions must be asked as to whether these future plans are even viable without the sudden course correction that Ardent expected that Sky Voyager would deliver. Ardent are in a financially strong position though they surely didn't plan to funnel funds away from their Main Event chain in the USA into a loss-making Dreamworld forever. $15-20 million taken each year from Main Event adds up to a lot of highly profitable entertainment centres they don't build. 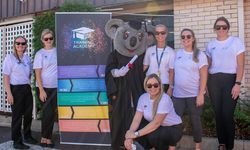 These future plans for Dreamworld are no doubt budgeted under the assumption that the turnaround strategy is working and can fund itself sooner rather than later. 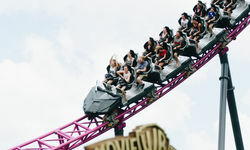 Village Roadshow's well-publicised financial woes throughout 2018 ostensibly led to a disappointing summer of new attractions at their Gold Coast theme parks. The confusing mess that is Scooby-Doo Spooky Coaster: Next Generation and the bare-bones carnival ride Sky Flyer are hard pills to swallow after the lofty standards for attractions and atmosphere they set in prior years with Rivals and Doomsday. But at least they got them across the line for the summer. 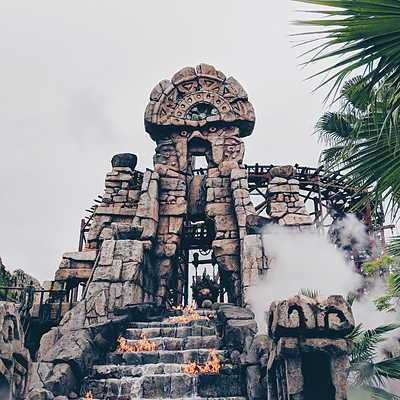 Having divested loss-making ventures like Wet'n'Wild Sydney while moving away from ticket and pass discounting, the Village theme park operation is lean and in a good position for robust reinvestment thanks to reliable profitability. Ardent Leisure had banked on a two year recovery and return to the stable profits that Dreamworld had always delivered. Selling discounted annual passes for $79 (Village Roadshow's equivalent One Pass is $149 for locals) or three day tickets for $95 ($129 at Village) suggests that the ongoing Sky Voyager delays have hampered their chances of a financial recovery this year, and certainly adds stress for future years. And it's not just in the theme park where Sky Voyager is conspicuously absent. When one looks at social media, you can't help but ask very real questions about Sky Voyager's marketing strategy, or perhaps the decision to install such an esoteric ride in the first place. At the time of writing are only eleven relevant posts hashtagged #skyvoyager on Instagram and it's a similar story on Facebook, Twitter and YouTube. It's been ten weeks since Sky Voyager was formally announced in November, and here on Parkz we have seen a tenth as much Sky Voyager related website traffic as we saw in the ten weeks that followed the formal announcement of DC Rivals HyperCoaster in June 2017. 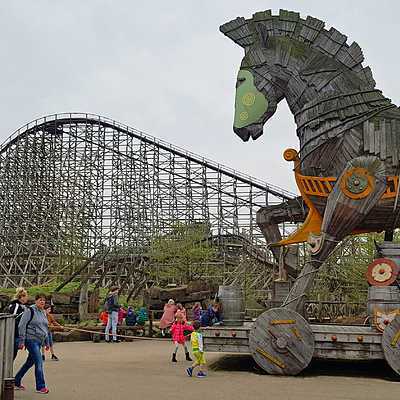 Even Scooby-Doo Spooky Coaster's low-key relaunch has attracted more than twice the website traffic that Sky Voyager has in the past ten weeks. 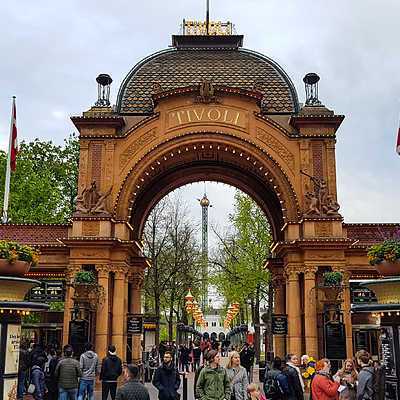 Overall traffic to Parkz meanwhile remains steady and Dreamworld-related articles and content has been our best performing over the last twelve months. 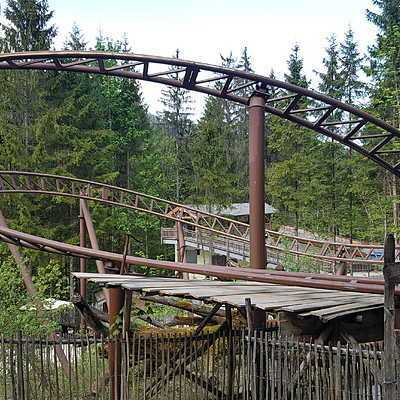 The 29-page discussion thread in the Parkz Forums has had only a handful of contributions in recent weeks as even Dreamworld's most fervent supporters lose interest. Sky Voyager is very visible in one place: on billboards and bus shelters throughout south-east Queensland. 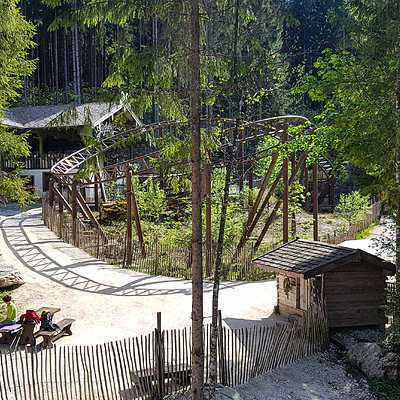 Contracts and printing for these placements was likely finalised long before the extent of the ride's delays became clear. The discounting we are seeing now however would suggest that this exposure just isn't translating into sales. There's no two ways to cut it: Dreamworld simply haven't moved the dial with Sky Voyager. It's a $17 million attraction; among the most expensive individual rides in Australian theme park history. But no one is talking about it – least of all Dreamworld – and there's something very worrying about that.